Please indulge me with this post. I know its a little different from my usual posts. I also know I it will come as no surprise to you that I am obsessed with animals. I am also obsessed with animal rescue so I am so excited to share this discovery with you. Iv talked about it before, I am the crazy, vegetarian animal lady and my family are more than used to me coming home with any manner of waifs and strays. In fact, when the invite to the Hopefield animal sanctuary bloggers event landed in my inbox, I excitedly told my husband, but he wasn’t that excited. Im not sure why, I mean, you come home with two Shetland ponies once and he don’t let you forget it……..
What does Hopefield Animal Sanctuary do? Let me tell you a little about Hopefield, and I make no apologies for the amount of animal photos in this post… I am passionate about animal rescue, so hope I can help raise a little awareness for this amazing charity. Its a beautiful home to pretty much any type of animal, bird or reptile! 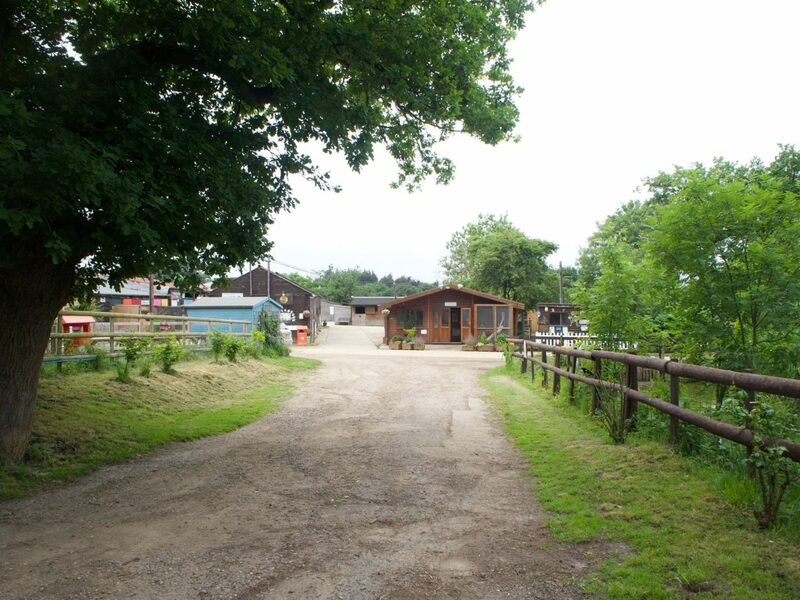 Established in 1983 by husband and wife team, Paula and Ernie Clark, Hopefield is located in Brentwood, Essex and gives abandoned, mistreated and neglected animals their forever home. It has a no-kill policy, and time and time again, picks up the pieces of broken and abused animals that the ugly side of humans causes, and helps put them back together again. The animals then live out their days with Hopefield so there is no risk of them ever having rough times again. So passionate was singer Leona Lewis when she visited Hopefield, she became their patron and huge supporter and is often there helping with fund raising etc. As soon as I walked into the sanctuary, I knew I had found my own little bit of heaven. The grounds stretch out before you, and the distant sounds of horses happily neighing can be heard. We were shown to the tea rooms, where we waited for the manager (Leeann) and ceo (Dave) of Hopefield to take us on our tour. We were also accompanied on our tour by Milly, the little rescue dog that you will always see with Dave. She is never not at his side bless her. We set off around the grounds, seeing all the animas. What struck me as remarkable is that Dave and Leanne knew all of the animals stories. They knew where they had come from, what had happened to them, what their personality was like, everything! It was so clear that these people had a passion and love for each and every animal in the sanctuary. I have not met staff as passionate about their work in a long time. It was amazing to witness. It was upsetting to hear how some of them had come to be at the sanctuary, but beautiful and reassuring to know that they would be looked after for the rest of their days. I love and adore all animals, but I will always have a real soft spot for horses. I have grown up with horses, and the gentleness and kindness in them melts my heart. The sanctuary has 72 horses, and was originally solely a horse sanctuary. I got so upset to hear how some of the horses had been so badly treated by humans, that they would shake, urinate and show huge anxiety if humans came near them. Broke my heart. People can be evil. The staff at the sanctuary never force an animal to trust in them, but their patience and perseverance means that in most cases, thankfully they do. The ones that have just been to traumatised by people, are calmly left to do their thing, at their own pace. Its no issue. I was also blown away by the size of the cows at the sanctuary! 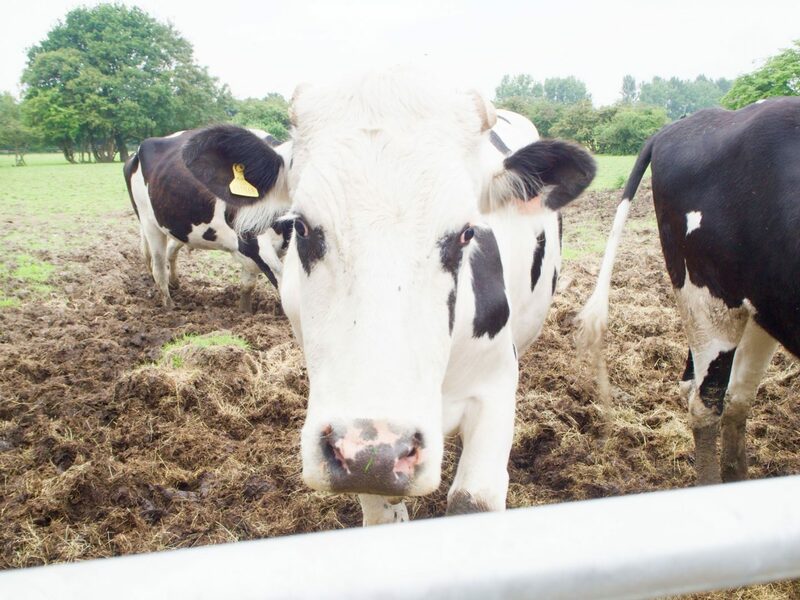 The male cows (bulls) that they have there were rescued from the dairy industry. Now obviously, a male is not much use in the dairy industry, so they are either slaughtered within weeks to be eaten as veal, or destroyed. It is therefore pretty rare to see a full grown dairy farm bred bull. Well let me tell you, they are flippin huge! beautiful, with the kindest eyes, and humongous! I fell in love. It was the same with the pigs. They were rescued from being in the meat industry, so are huge. Again, the meat industry fills the piglets up with hormones to make them grow quicker, so they can be slaughtered for meat at around 6 months old. If one of these little piggies is allowed to mature and grow older, they end up not so little piggies! Highly intelligent, incredibly social with humans, the pigs really made me smile. They look like they are up to mischief! Since irresponsible people started introducing “exotic” animals into the “pet” industry, Hopefield have found that they are often put in the position of animals like Racoon Dogs and Marmosets needing their help. These animals are not pets, so its not long before the uneducated people that get them, realise this. Hopefield now have these seeking safety at the sanctuary. Im coming right off the bat here and saying that the afternoon tea was AMAZING! Served in the tea room on site, It was completely vegan, and the lovely ladies in the tea room were so passionate about the vegan menu. They made their own vegan cream and vegan cheeses! It was honestly the best vegan cream I have ever tasted, and a couple of the other bloggers, and my Mum who had come as my plus one, could not believe that the entire meal was vegan. My Mum made a great suggestion to the tea rooms that they compile a vegan recipe book to sell at the Sanctuary. I would be first in line to buy it for sure! 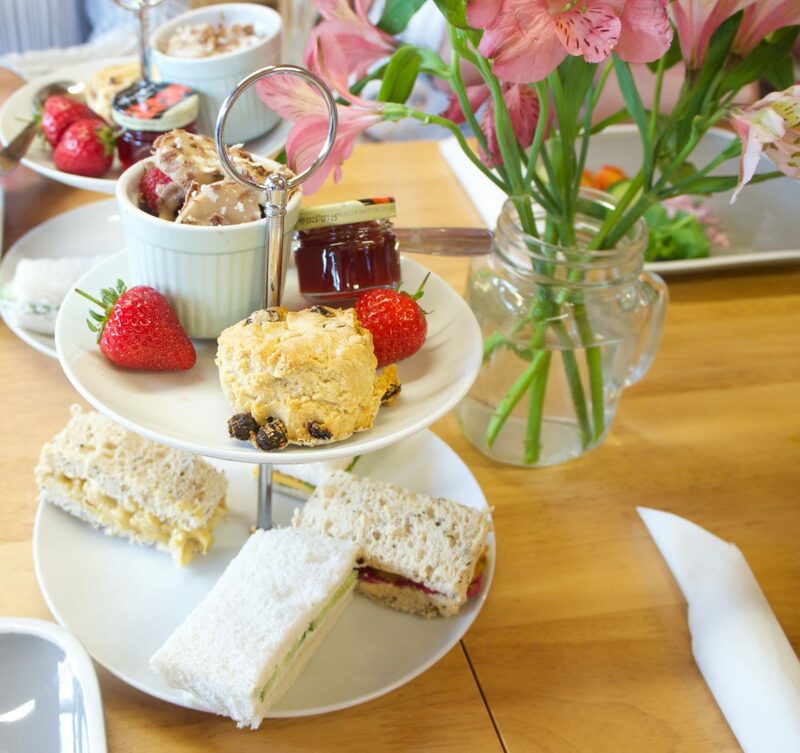 Finger sandwiches, warm scones with cream and jam, fruit compote, everything you expect from a traditional afternoon tea. It was gorgeous. Now, you know me if you have been with me a while. I never, ever sell to you, and I am not going to do that now. All I want to do though is let you know how you could help, should you want to. 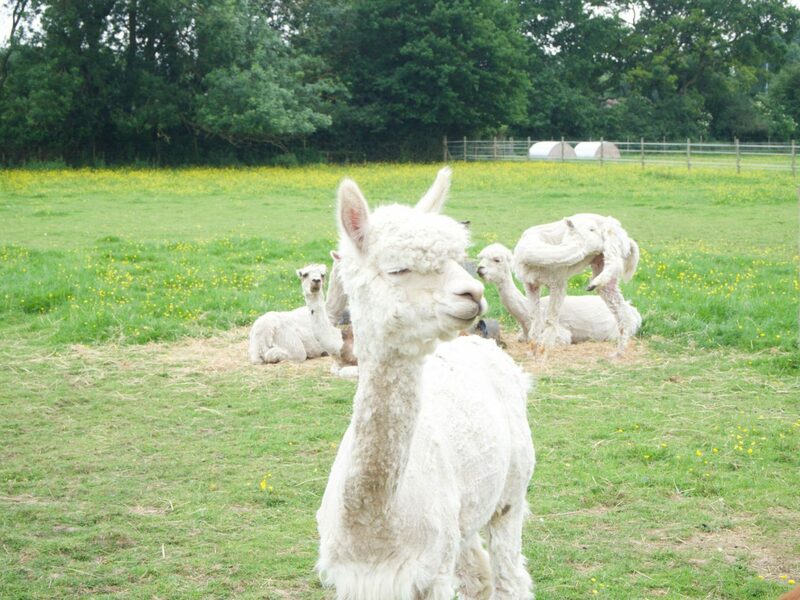 Of course, the best way is to visit the sanctuary if you are in or around Essex, and have the pleasure of meeting all the residents. I promise you your blood pressure will lower and you will feel calm and zen. Its gorgeous there. You can also get a cuppa and something yummy from the tea rooms….just sayin….. You could also “adopt” an animal for just £10/£15 a year, by post, phone or online if you like that idea. I have adopted the beautiful 35 year old Horse Hope, who stole my heart, and a cockatoo named Tiki. It all helps towards the huge running costs of the sanctuary, and you get a certificate and newsletter of your adoptee. 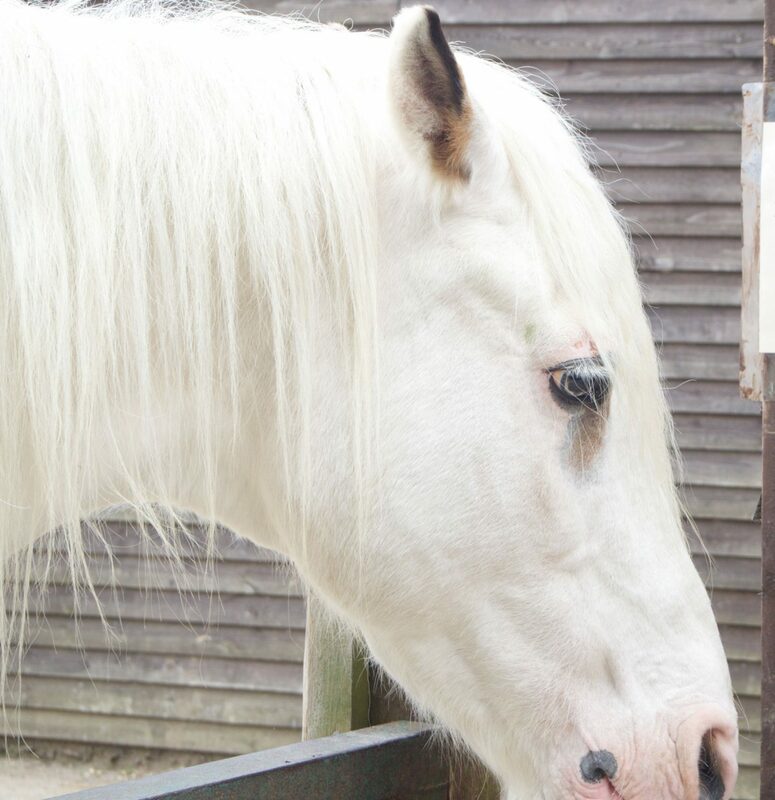 You can also of course donate anything from £1, straight to the sanctuary using their donate button on their website, which I have linked too here – Hopefield Animal Sanctuary. The sanctuary also do various events throughout the year. For example, there is a sponsored walk with Leona Lewis on the 28th June, and a Kids Fun Day in July. I really hope you dont mind me indulging and sharing my love of this place and its residents. I think as humans, we are so destructive and careless with the beautiful creatures that we share planet Earth with. It needs to stop. Places like Hopefield Animal Sanctuary try to educate people on animals needs, they look after as many of the broken ones as they can, and they are literally fighting fire with the continual need for rescue and shelter for abandoned animals. I will do my absolute best to support them. If you love animals, check out to see if there are any shelters near you that you can visit and show your support. There are far more good people in the world than bad, so if we all do our bit we can make a difference. thats my hope anyway! So, as my parting shot, I leave you with the beauty that is Hope. Her name says it all. Eight Reasons Why – I love blogging…..
"Two Years of Blogging – Where Am I Now"
"A Round Peg in a Square Hole – Is that you?" One of my favorite posts to date. I can read about anything animal related until the cows come home (no pun intended) Also, never feel like you need to apologise for animal photos, no matter how many! Ohhh thank you so much! Its such a passion of mine,and really feel compelled to help in any way I can. Like you, I could happily look at the animal photos all day! in fact, I had to restrain myself from putting up about 6 more haha! Thank you so much for reading, Im so glad you enjoyed it. I love animal posts, so thanks for sharing this one. I didn’t know about this sanctuary though. It’s true – people can be so cruel and stupid, but I’m glad to hear these animals have found a good home. How lovely. Thanks for sharing a new place to take the grandchildren Kerry. I will be paying a visit. Just back from my hols and catching up with your posts. Thanks for info about Hopefield will definitely make a date to go and visit.